Lovely and useful peg is made from wood with a metal bracket for hanging. This delightful item is hand painted beige with a wooden clothes peg attached decorated with a white pencil. 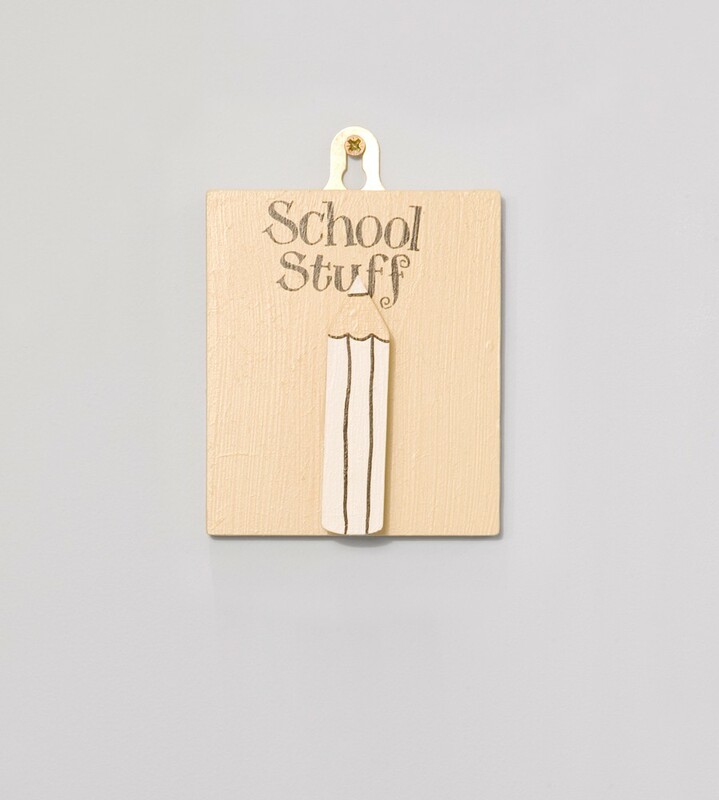 'School Stuff' is written in black letters across the top & the peg is made in the UK. The item is ideal for hanging up your little one's latest spellings, sums or other homework brought home from school.